Back Bay Books, 9780316899987, 256pp. The acclaimed bestseller--a selection of Oprah's Book Club--that brings vividly to life the Georgetown neighborhood of Washington, DC, circa 1925, a community reeling from a young girl's tragic death. Five-year-old Clara Bynum is dead, drowned in the Potomac River in the shadow of a seemingly haunted rock outcropping known locally as the Three Sisters. 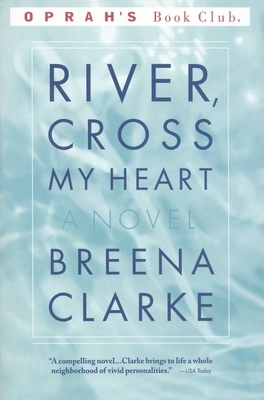 River, Cross My Heart, which marks the debut of a wonderfully gifted new storyteller, weighs the effect of Clara's absence on the people she has left behind: her parents, Alice and Willie Bynum, torn between the old world of their rural North Carolina home and the new world of the city, to which they have moved in search of a better life for themselves and their children; the friends and relatives of the Bynum family in the Georgetown neighborhood they now call home; and, most especially, Clara's sister, ten-year-old Johnnie Mae, who must come to terms with the powerful and confused emotions stirred by her sister's death as she struggles to decide what kind of woman she will become. This highly accomplished first novel resonates with ideas, impassioned lyricism, and poignant historical detail as it captures an essential part of the African-American experience in our century.